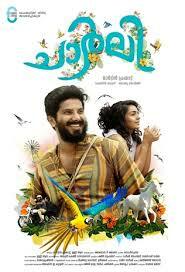 The trailer of the much awaited movie of the year 'Charlie' starring Dulquer Salman and Parvathy is out. The video launched yesterday has secured a record breaking 3 lakh plus views in the first 12 hours. Charlie movie directed by Martin Prakkat of ABCD and Best Actor fame also features Aparna Gopinath, Nedumudi Venu and Kalpana in the main roles. The music of the movie is handled by Gopi Sundar. Camera department is handled by Jomon T John.